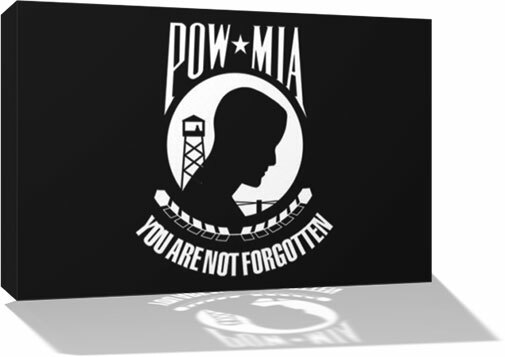 On this page are free POW/MIA clipart and graphics. Take them, display them. To print images, click on clipart for printable view. 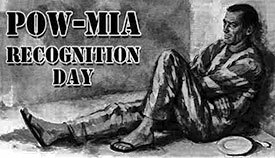 The United States Of America National POW/MIA Recognition Day is observed each year on the third Friday of September. National League of Families’ POW/MIA flag was designed by Newt Heisley. 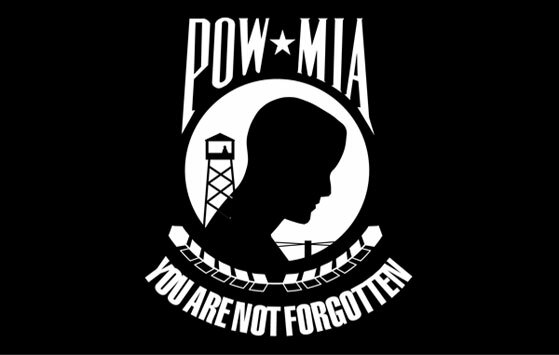 This national day of observance is to remember (and never forget) Americas' prisoners of war and missing in action. 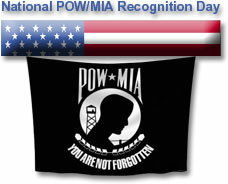 National POW/MIA Recognition Day with American flag and POW/MIA flag. POW/MIA Flag, American Flag and Eagle. 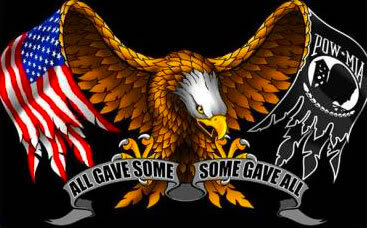 All Gave Some - Some Gave All. POW-MIA flag with glass frame. 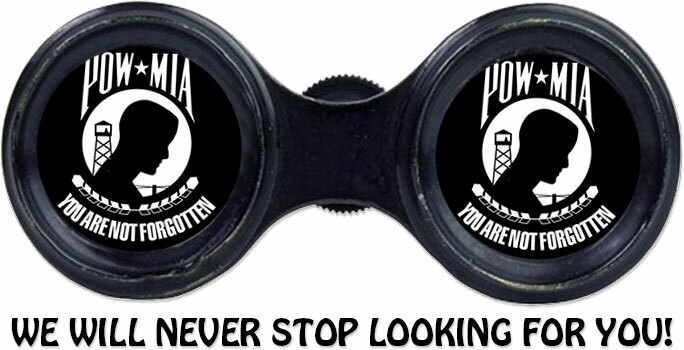 Binoculars searching with the words, "We Will Never Stop Looking For You!" 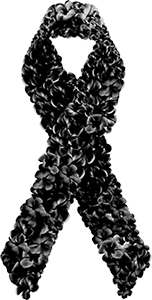 Black ribbon PNG image with a transparent background. Soldiers saluting with the POW/MIA emblem in the background. The American Flag and POW/MIA Flag waving on a flag pole. 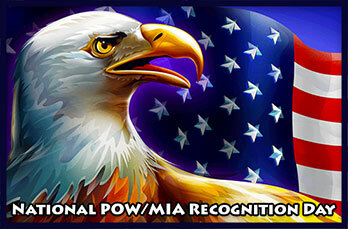 National POW/MIA Recognition Day with an eagle and American Flag. American soldier with "You Are Not Forgotten" flag. Silhouette of soldier saluting with POW/MIA Flag overlay. POW-MIA flag hangs from top. png transparency. 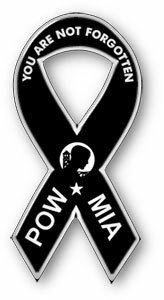 You Are Not Forgotten POW/MIA ribbon. 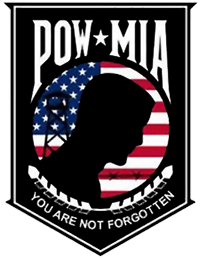 Pow/Mia with American Flag inset - PNG with transparent background. 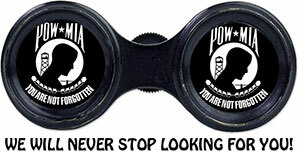 POW-MIA wall with front reflection - JPEG. 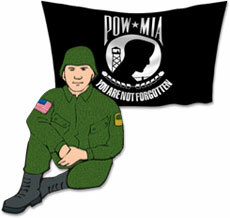 You may use our POW-MIA graphics on your web pages at no cost and without providing any credit to us. In other words, feel free to take the clipart from this page and display it with honor. 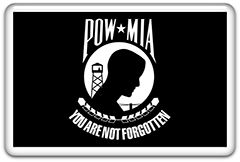 Let it be known our POWs and MIAs are Not Forgotten.